Degaussing is simply the act of permanently erasing data from magnetic media. Sometimes it is referred to as sanitization. It works by subjecting magnetic media to a strong magnetic field that removes data from data bearing surfaces. The magnetic field can be created either by powerful magnets or an electromagnetic discharge. Regardless of the type of magnetic media, SEM has a degausser to erase it. 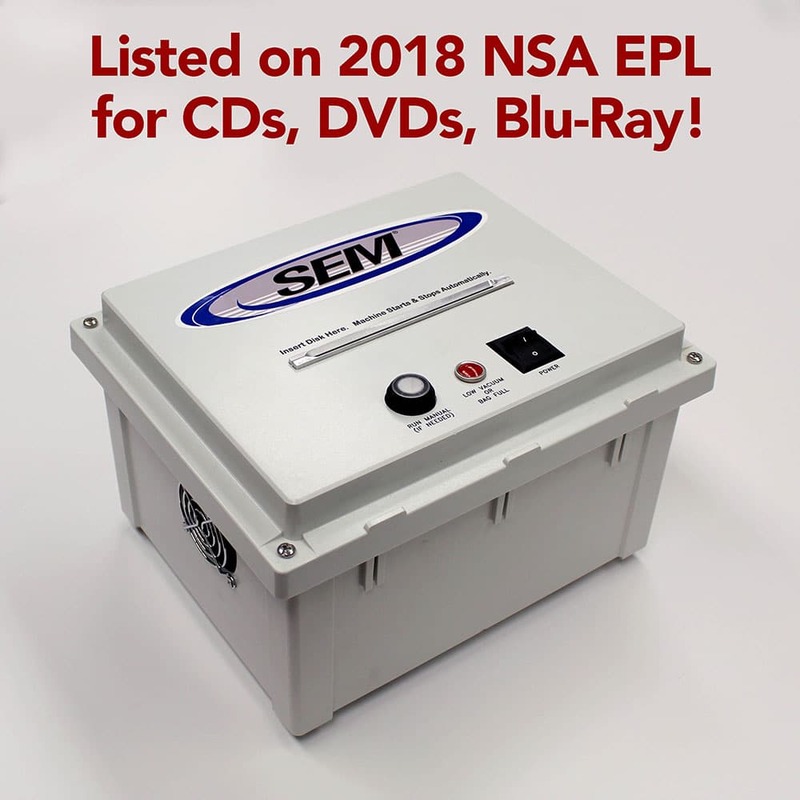 From high security/classified information requiring an NSA listed degausser to CUI (Controlled Unclassified Information) data, we have a degausser to fit your needs. We even have manual degaussers for use when no power is available. If you need hard drives degaussed, but don’t have enough volume to justify an equipment purchase, consider our hard drive degaussing service.